Garnet is the birthstone for January and the stone that celebrates the 2nd anniversary of marriage. The name “garnet” comes from the Latin word “Garanatus,” meaning “seedlike,” in reference to a pomegranate. This reference makes sense as small garnets look like the bright red seeds you find inside in a pomegranate. 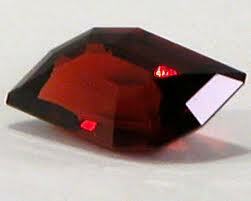 The garnet has been a popular gem throughout history. Garnets were found as beads in a necklace worn by a young man in a grave that dates back to 3000 B.C. This is proof of the hardness and durability of the stone.